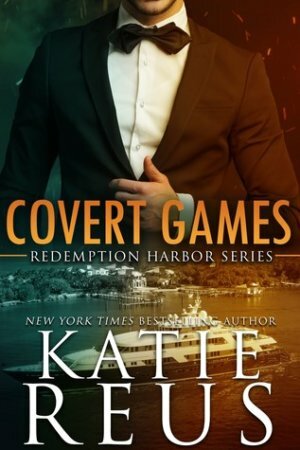 In Covert Games by Katie Reus, Redemption Harbor Consulting is determined to take down Alexei Kuznetsov. In order to do so, they want to use his nice, Lucy Carreras, who Alexei raised after the death of her parents because she runs one of his casinos. Leighton isn’t sure that she doesn’t know what’s going on. As she becomes more suspicious of activities taking place in the hotel and the way her uncle handles it, the more he becomes convinced of her innocence. 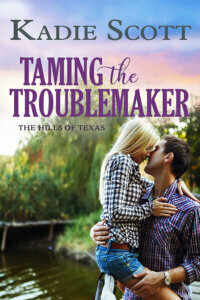 When the team agrees to bring her in and show her just who her uncle was, the more danger she faces. Will Leighton and his team be able to keep her safe and get Alexei? The suspense is excellent in this book. It’s a non-stop page turner, which I really enjoyed. The romance between Lucy and Leighton felt a bit rushed, but that didn’t take away from my overall enjoyment of the story. There’s a deleted prologue that was included at the end of the book. It shows readers a glimpse of Leighton and what he went through in Afghanistan, which provides a better understanding of why he wanted out of the military. I liked that the author decided to include it. The only reason I didn’t rate this book higher was because I felt like I was missing some of the back story leading up to this book. I haven’t read any of the previous books in the series, but it was clear things with Alexei had been escalating from previous books. There’s incidents involving him that are referenced but not fully explained. I highly recommend reading the other books in the series first in order to fully enjoy this one. If you’re looking for a good romantic suspense, you’ll enjoy Covert Games. Despite feeling like I was missing things from not reading the other books, I still really enjoyed it and recommend giving it a read. Now she’s everything to him…Despite other prospects, family loyalty has Lucy Carreras running one of her uncle’s prosperous hotels. But the longer she observes its operations, the more she believes the elegant establishment is host to some shady exploits. When her suspicions are confirmed by Leighton—a dangerous man straight out of her fantasies—Lucy’s entire world explodes when she learns just how evil her uncle’s sins are. Now she can’t stand by and let it continue. She and Leighton will take Alexei down together…if they can survive the deadly storm hurtling toward them. I got a little behind on this series. I was enjoying it though! Great review. Thank you! I want to go back and read the others. 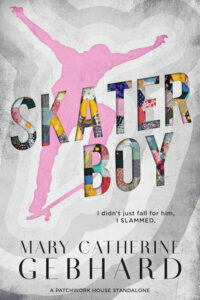 I’ve read other books by this author and have enjoyed them all, but this was the first one i’ve read in this series.